With Commencement right around the corner, we wanted to remind our busy graduates about the details of the big event! The procession will begin at 6:45 p.m. on Monday, June 13 at The Kimmel Center, so graduates are asked to arrive at check-in at 5 p.m.
Peirce Idol winner: As we were excited to announce last week, Morraye Berrios is the winner of Peirce Idol 2011 and will sing the national anthem at the ceremony. Peirce Commencement speakers: Another student will also be up on stage, Shandi Moore-Jenkins, this year's Student Commencement Speaker. And delivering the keynote speech will be Charisse Lillie, the Vice President of Community Investment with the Comcast Corporation and President of the Comcast Foundation. Ticket Swap: Need extra tickets or have a few to giveaway? Head to Peirce’s Facebook page for ticket swapping. You can post how many tickets you need or how many you have under the discussion tab. 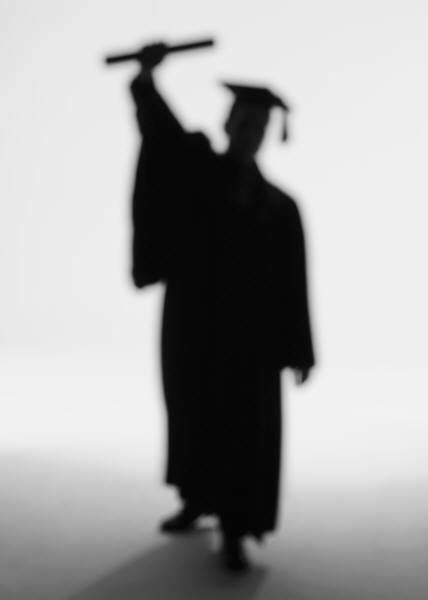 Peirce graduation announcements: If any graduates are still interested in ordering graduation announcements, diploma frames, or college rings, contact the Business Office at 888.GO.PEIRCE (888-467-3472), ext. 9600, or visit the Framing Success website. Peirce campus tours: Before the Commencement ceremony, we'll offer tours of the buildings and classrooms where you've done so much hard work for all interested students and their guests. Just come to the lobby of College Hall to join one of the tours, which will run from 1 p.m. to 4 p.m. and leave every 30 minutes. Please check the Commencement website for further updates. If you have questions, please leave a comment below, e-mail me, or call me at 888.GO.PEIRCE (888-467-3472), ext. 9265. We look forward to celebrating this day with you, your family, and your friends. And as we get closer to the moment when our graduates walk across the stage, we wanted to share some of the things our alumni have said about what their experience at Peirce meant to them. Here are just a few of their sentiments. We hope that in the years to come, you'll have these same reflections on the way Peirce changed your life. Congratulations to each and every one of you. Thomas C. Foskey, Bachelor of Science in Information Technology, concentration in Program Application and Development, '11 will travel from his home in Johnson City, Tenn. to attend the ceremony! "One of the things that I have thoroughly enjoyed about being a student at Peirce is the continuous opportunities to learn new things. I was always learning something new and it has made me an even better professional. One of the many lessons I have learned throughout my journey at Peirce is that I have the potential to accomplish whatever I set my mind to." "At Peirce, I feel like I am a part of a community; where student's voices are heard and not disregarded, where faculty don't see their courses as merely paychecks, where advisers don't make you "pick a number" and the response time is not only impeccable, it's helpful and informative. They understand real life situations." "Peirce College -- my home away from home -- granted me the flexibility of studying both on-campus and on-line, and provided me the opportunity to be home with my children. Studying for my bachelor’s degree here at Peirce was one of the most important steps I took in fulfilling my personal and professional aspirations." "The time that I spent at Peirce has been an amazing experience, because I was given a chance to meet great people who believed, inspired, and challenged me to move forward and follow my dreams." "My experiences at Peirce have been nothing short of amazing. I have learned quite a bit while at Peirce and I am so very thankful for every moment, moments that will be cherished and passed on for years to come."